We are very excited to be a Presenting Sponsor for Boys to Men of God annual fundraiser: A Knight to Remember! Learn more about this organization and join us this Friday, December 7th! We have continued to support the Boys to Men of God because we truly believe in their mission as a non-profit organization. Boys to Men of God is a Christian organization that exists to provide mentorship to children ages 4 to 12, who have experienced the absence of a father figure in their lives. They gather in a family setting to teach the boys to become providers, husbands, and fathers. They benefit from having a consistent adult presence that can offer advice, share life experiences and help them navigate life’s challenges. Their sister program, Daughters of the KING, is for girls who have experienced the absence of a mother or father in their life. We mentor girls through life‘s challenges, teach life skills, crafts, cooking, and provide activities that will help them become a healthy woman of God. 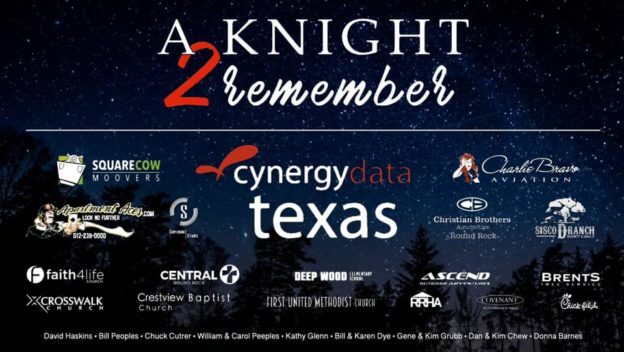 This Friday, December 7th, 2018 6pm-10pm, over 200 local executives, community leaders, and supporters of Boys to Men of GOD & Daughters of the KING will commence right in the heart of beautiful Georgetown for “A Knight to Remember”. The night is filled with food, friends, inspiration, philanthropy and includes musical entertainment by the SOUNDS OF SALA – Joel Salabarria. Cocktail attire is required at this seated dinner provided by CJs Catering and bar provided by Margarita Pronto. To add to the fun, an exciting live auction will be provided by David Ackel. If you would like to purchase tickets for this event, visit: AK2R2018.Eventbrite.com. We hope to see you there as we celebrate as a community! This entry was posted in General on December 3, 2018 by Teylor Schiefelbein.